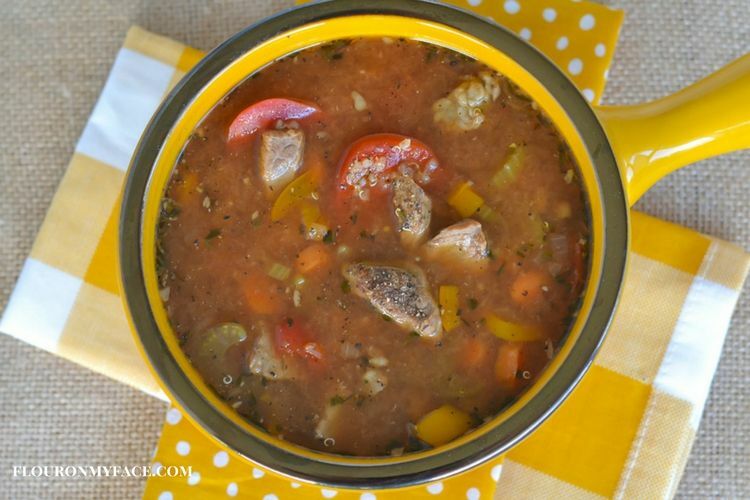 This Crock Pot Beef Quinoa Stew is delicious and a great way to add healthy quinoa to your diet. So this is the crock pot recipe that almost wasn’t. I seem to have lost a day this week. I thought today was Thursday and had a How to Freeze Cookie Dough freezer recipe all scheduled for this morning. On Tuesday of this week, I had the honor of joining my mother in-law Bonnie as she was inducted into the National Society of the Daughters of the American Revolution. For those who don’t know the DAR is a women’s service organization dedicated to promoting historic preservation, education, patriotism and honoring the patriots of the Revolutionary War. Bonnie is the most patriotic person I have ever known and years ago while I was doing some genealogy research I found that she was a descendant of an American Revolutionary War Patriot. For those who do genealogy research you know how exciting that can be! I’ve been doing our family research for almost 20 years. I am so jealous! I can not find a patriot in my own family tree. I haven’t given up in my own research. One day I will find one of my own but since most of my family immigrated from Germany in the early 1800’s I only have 4 branches in my tree that could yield a patriot. I’ve touched on my own genealogy research a few times here on the blog. If you’d like to read more you can check out this post and this post where I shared a great Family History Gift Guide last year for the hard to buy person on your gift list. So I was out of the house all day Tuesday which totally threw me off on what day of the week it was. I’m so glad I figured it out befor the cookie dough post went live. 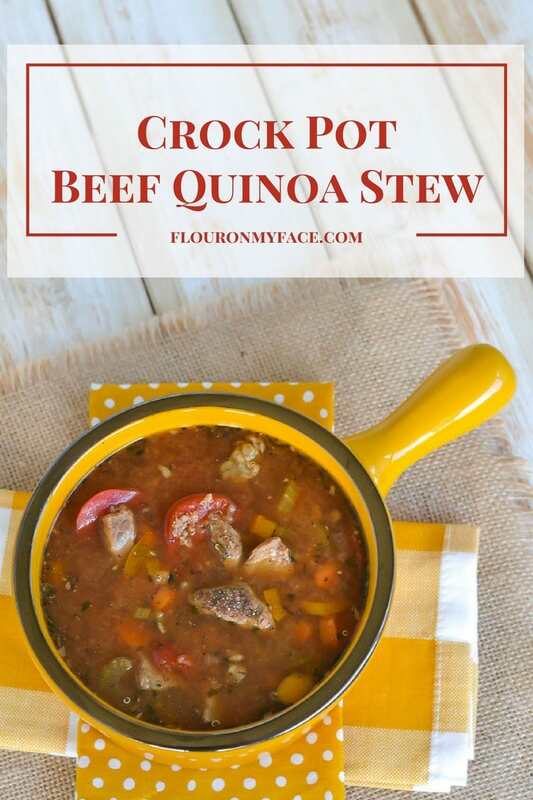 I have been sharing a new crock pot recipe every single Friday since January of 2015. Only once did I not post a recipe on Friday and that was because I accidentally posted it on Thursday instead. I’ve been late jumping on the Quinoa band wagon. I don’t have a good excuse except that probably like most of you I thought quinoa is weird. What I learned using quinoa for the first time in this recipe is that quinoa doesn’t really have much flavor of its own. At least the quinoa I used didn’t. If you have a secret quinoa brand please let me know so I can try it. So is that a good thing or a bad thing? Well quinoa seems to absorb the flavors of the food you cook it in so it worked great in this Beef Quinoa Stew recipe. It took on the delicious flavor of the beef stock and other ingredients very nicely. The good thing about that is that you can add a very healthy grain to your diet that is easy on the palate. Quinoa is gluten-free, high in protein and one of the few plant foods that contain all nine essential amino acids. It is also high in fiber, magnesium, B-vitamins, iron, potassium, calcium, phosphorus, vitamin E and various beneficial antioxidants. For those of us who have made the decision to eat healthier it looks like quinoa is a perfect way to get a healthy dose of vitamins and minerals. Heat the olive oil in a skillet or the Crock Pot Slow Cooker 5 in 1 appliance set to saute/brown setting and brown the stew meat. Add the onion, pepper, celery and carrots to the skillet or crock pot appliance and saute for about 5 minutes. If using a skillet transfer the ingredients to a slow cooker. If using the new crock pot appliance change the setting from saute/brown to slow cook. Set the temperature on high and the time for 4 hours. Add all of the remaining ingredients except the Quinoa to the slow cooker and cook for 4 hours. Once the 4 hours are up add the Quinoa to the crock pot and stir well. Replace the cover and cook an addition 15-20 minutes allowing the Quinoa to warm up. Looking for more easy and delicious crock pot slow cooker recipes? 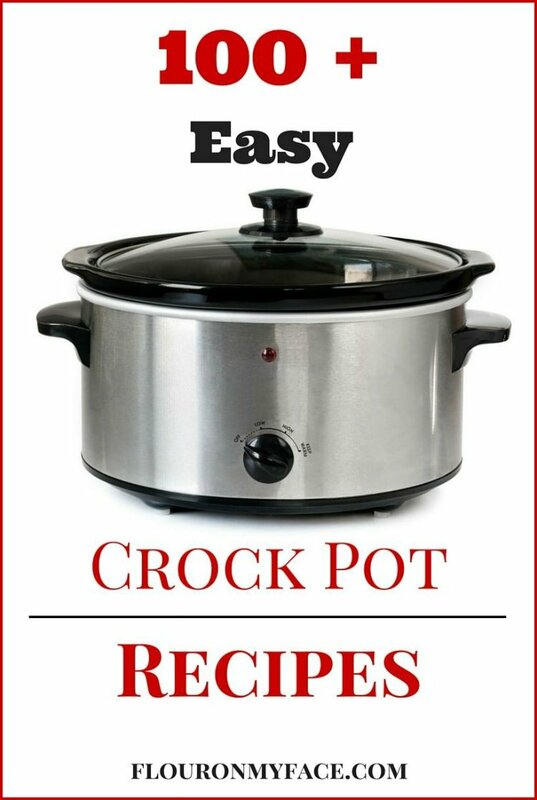 Head over to my crock pot recipe page where you will find 100+ crock pot recipes. I hate when something like that happens. Sneak a little in at a time in recipes where you can add it. We love stew. I have never made it with quinoa before. What a great idea, I will have to give this a try…now that the cold weather has unfortunately made it’s appearance. Gloria this is a perfect cold weather recipe. We are having our first cold snap down here in Florida. It was about 47 F. last night. I LOVE researching my family tree too! It is so much harder than I thought it would be… so much paper work lost in wars. I also love quinoa…this would be a perfect mid week meal in our house. I have had so much better luck researching my mother inlaws family than I have had with my own. But I enjoy the challenge. We are big quinoa fans! 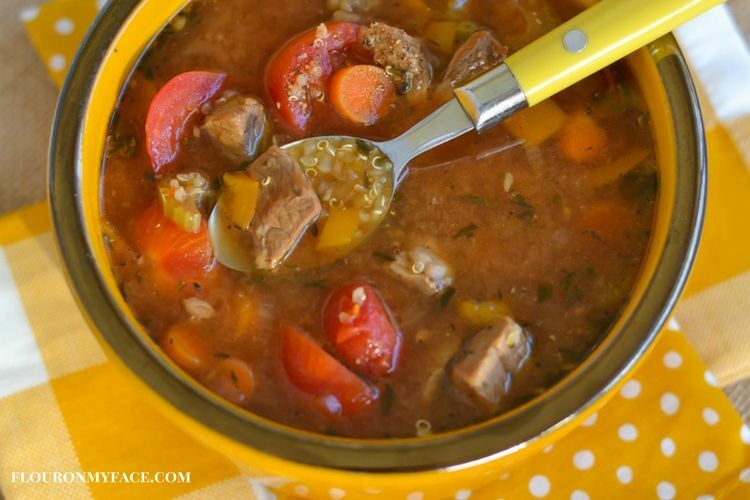 Love the slow cooker stew recipe. I don’t use ours often enough, which is silly since it’s so helpful! Crock pot cooking is much like anything else. Once you get into the habit of it it becomes second nature. Thanks for stopping by! Thank you. Enjoy the recipe!